To show love is to share edifying knowledge. 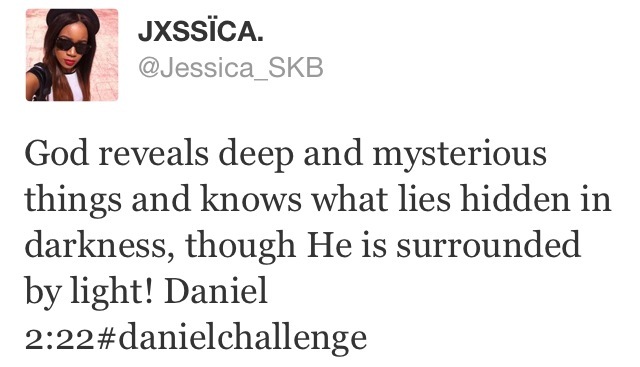 Its amazing to see so many of you on board with the #DanielChallenge! Even those that haven’t done the previous Bible Challenges ( #EstherChallenge , #RuthChallenge, #JamesChallenge and #LWChallenge.) we welcome you! For those that still don’t know what it is, don’t worry! I’ve done a video for those who prefer audio than reading a whole bunch of text! I summarised the chapter and spoke about the main points for me whilst simultaneously applying them to our everyday lives. Enjoy and Share! MY QUICK CHEEKY SUMMARY: During King Nebu’s second year, he had dreams that distressed him and could not understand. So he called all the fortune tellers, magicians, wizards, babalawos in the land to see if they could interpret his dream. Now the king was no fool, he refused to tell them the dream, he wanted the babalawo’s to tell him his dream and interpret it, that way no one could trick him! 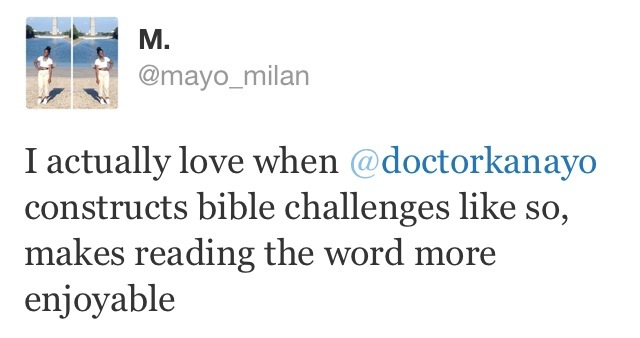 But none of these ‘wise men’ could do this. The consequences of not fulfilling the king’s request were drastic…death. But what could the wise men do, the couldn’t tell the king his dream, nor could they interpret it. Frustrated and furious, the king ordered Arioch to arrange for all the ‘wise men’ to be killed, including Daniel and his mandem. This gave Daniel the opportunity to minister to King Nebu, (remember Daniel 1:17) after wisely and tactfully enquiring about the kings order, he asked his friends to pray that God reveal the kings dream to him. And God answered their prayer. Daniel praised God for this and went to the King to interpret his dream. The King was so happy that he made Daniel a leader in Babylon and showered him with gifts. Daniel didn’t forget about his friends, as he requested that they be made leaders too! I love that King Nebu asked them to tell him his dream first. It reminds me of what my mum has always told me about prophesies etc. If someone prophesies over your life, its always good to wait for your own revelation before delving in and accepting the prophesy. 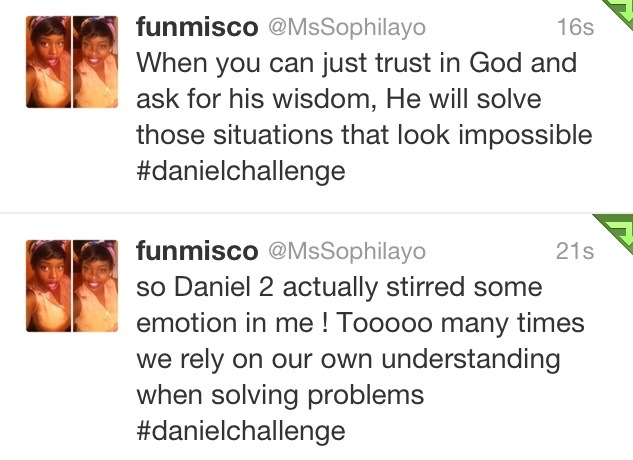 In our time, we have too many ‘pastors’ behaving like the fortune tellers and not like Daniel. Too many pastors claiming to know your life history based on the little you have told them and not what God has revealed to ’em. Best way to catch them out, is to pray for your own revelation! These babalawo’s knew that their power had limits. One thing that stuck out for me is that they said ‘No one can reveal it to the king except the gods,and they do not live among humans’. See the gods they were talking about were false gods, powerless when compared to The Almighty, and they were certainly right. Those gods do not live among humans. But what about the God of all gods. The sovereign God who even in the Old Testament was said to hover over the Earth. He lives among us, better still He lives in His children. 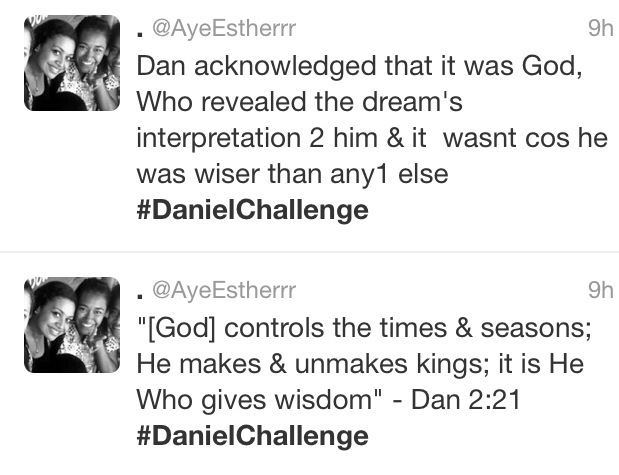 This is why Daniel was able to tell the King his dream and interpret it. He relied on the greatest power, the God that actually lives in us mere human beings. godless powers have limits…but the Almighty God has no limits. 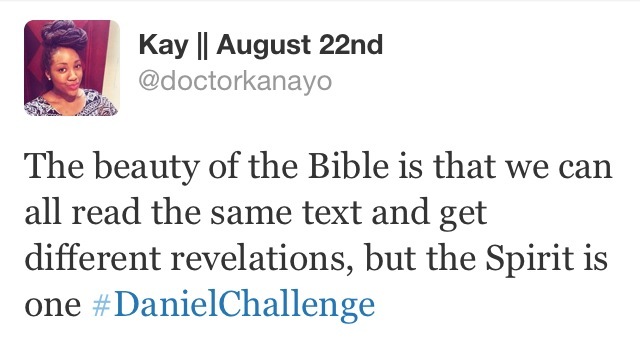 1 Corinthians 2:14 came to my mind when I read the latter part of Daniel 2:11. ‘The person without the Spirit does not accept the things that come from the Spirit of God but considers them foolishness, and cannot understand them because they are discerned only through the Spirit’. The dream King Nebu had was from God. (Daniel 2:29, NCV). The babalawo’s were godless individuals…so how on earth could they understand the things of God? They said it themselves, that the King’s request was ‘difficult’. Which is in line with the scripture above. Daniel, who was a worshipper of the true God, who had God on his side was able to understand the things of God and interpret what the world calls a mystery. Think: Where do I search for my answers? We are faced with many mysteries. We struggle with questions like, ‘why am I here? What is the purpose of my existence? What am I meant to do with my life? Where did I come from? Where am I going? BUT where do we go for answers? Do we follow king Nebu and go to the popular guru’s or sources of knowledge of our time. OR do we have a better source of answers, a more reliable source that doesn’t change from generation to generation. God is the true source of answers and wisdom. He reveals the meaning of mysteries. His wisdom does not allow for compromise with other interpretations. It is supernatural, divine, unique and true and cannot be compared with any other solution on earth! Expect and Accept the final answer from God. and this is shown when none but Him can interpret the dream. This also becomes a way to minister the word to all the wise men, enchanters, magicians, or astrologers and the King, by showing how powerful God Is. God of the impossible. 1) Amongst all those who were asked to interpret the dream, it was perceived to be impossible, almost an anomalous concept that couldn’t be achieved by any human. What I have acknowledged through my reading is that human or man-made limitations cannot be placed in the same bracket as God. God’s power knows no boundaries, knows no limitations & from this, sincere prayer will enable you to understand that such limitations can never be an obstacle. “He gives wisdom to the wise & knowledge to the discerning”. In the beginning of Chapter two, we see the king Nebu make unreasonable demands on the magicians of Babylon and threatens to kill them if they don’t tell him what his dream meant, even though he refused to tell them what happened in the dream. When I read (NLT) vs. 1-8 it made me think of the frustration I often feel when I don’t get the answers or results I want from friends, family, social media or my educational attainment. In (NLT) vs. 11 we see that the magicians acknowledge the ‘gods’ who will be able to interpret what has been placed on the conscious of the king. This is a wake up call – many times our questions can’t be answered by anyone or anything but the All Knowing creator of the universe, so He should always be our first and foundational port of call. When Daniel is told that he will be killed because of the failings of others in (NLT) vs14 we see that ‘he handled the situation with wisdom and discretion’. He didn’t ‘wild out’ or go shouting about how unfair things were. Instead, Daniel went to see the king to understand the situation, then told his friends the situation and they then prayed together for God to give them a revelation. From this I have seen that when something unexpected or undesirable happens, we need to get our facts straight and keep quiet until we are less emotional. Once we have the facts, we must get ourselves with brothers and sisters that will keep us on the right path and fill us with wise, Godly counsel and prayer. 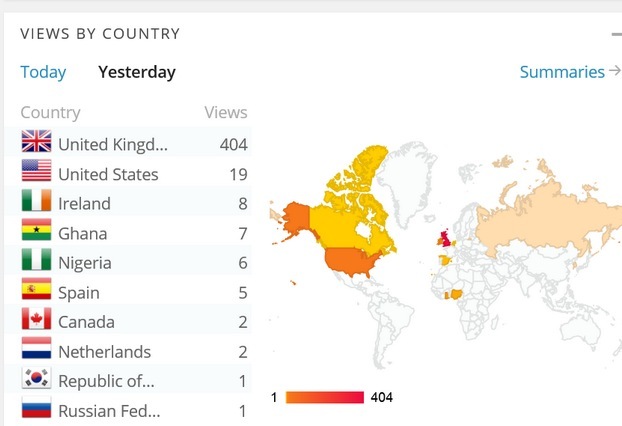 See how many were involved all over the world on the first day! 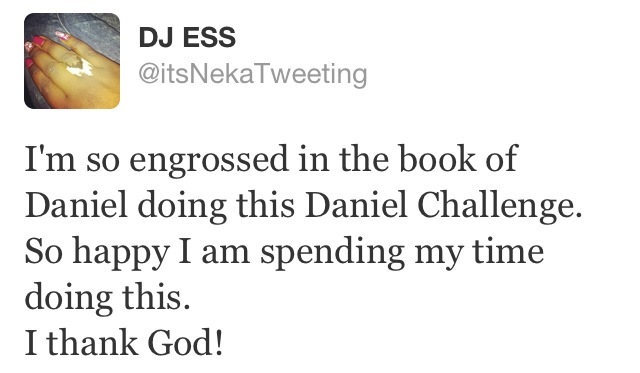 Daniel then praises God for everything. As mentioned in the notes about chapter 1, Daniel was in a foreign land and solely relied on God and his friends who were committed to God. There are many things about Babylon and the king Nebu’s authority that Daniel may have found puzzling but God always gave him the wisdom. Friends, we may not have all the answers and that’s ok, because God does. A key point to note is that King Nebu was an extremely powerful and rich king. His whole kingdom was under his control and nothing he wished for was kept from him. But then God sends him a dream. The dream was troubling and unsettling. When all his magicians, sorcerers, and enchanters tell him they can not give him the meaning of the dream, King Nebu is furious. WHY? Because he doesn’t have control. His men tell him no one can do such things and the knowledge of such is with the gods who do not dwell with the flesh. The king who can command and have anything is suddenly refused a request. The knowledge he wants, the information he needs is out of his grasp and belongs to God ONLY. He comes to the point where he sees that he ultimately is not in control as much as he thinks. He’s put in his place and is shown by God who really has the power and control in life. Far too often, we attempt to control everything in our lives. When things don’t work the way we want, we overreact and get angry but maybe God is taking so many things out of our control to show us who really has the ultimate power and control. To show us who’s BOSS! When reading through verses 17 & 18, I realised that there is power in a number of people coming together and getting before God for a specific purpose. Daniel’s reaction is to be commended. Instead of freaking out and turning against God for putting Him in the situation, Daniel immediately realises that He cannot do this without God and humbles himself before the Lord by asking for mercy along with his friends. There is power in prayer and agreement. I like verse 44 where It says that God will build a kingdom and set it up in such a way that it can never be crushed or ruled by foreign people. That is the way our heart is to be. It needs to have a solid foundation and be softened for God but hardened for the things of the world. What the king asked for was seemingly impossible and couldn’t be done by mere mortals…None of the other prophets could reveal this dream because they were false..If the king had told them the dream, I’m sure they would have definitely had an interpretation to give him..When pastors speak over our lives based on what we tell them it would be wise to confirm with God, because sometimes they make it up as they go along based on the little you tell them…it is good to be in the spirit yourself, lest you be led astray…. These are my insights from Chapter 2. I watched your video and you’ve pretty much touched on everything lool. But just 3 more things i noted. 1. The importance of humility in being God’s servant. In v19-23.. Daniel gave thanks to God from the very beginning. 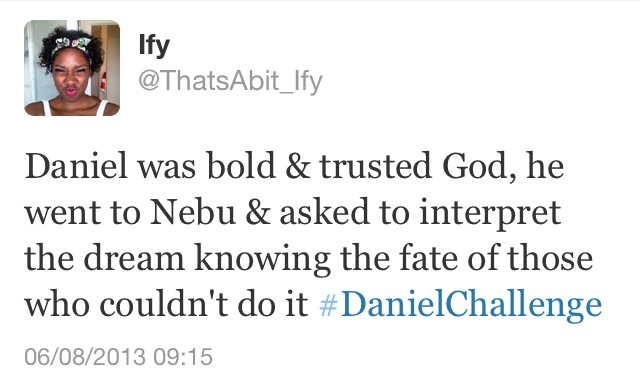 From the moment God showed him the dream even before he approached King Nebu. Also in v28 .. He said there is a GOD IN HEAVEN. This is soo powerful. 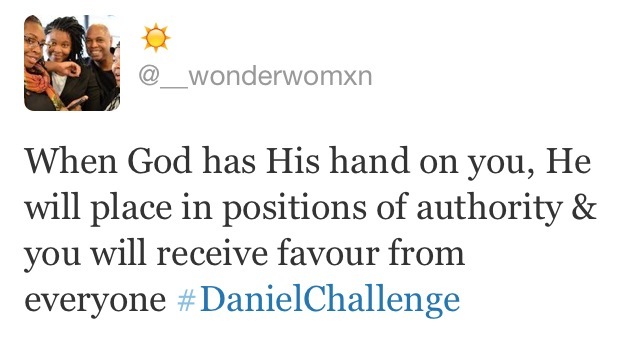 Daniel totally surrendered all the glory to God at this point. 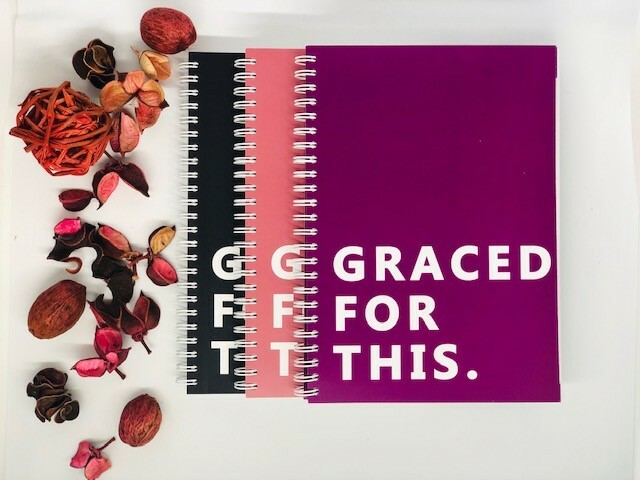 For us as believers, giving thanks is actually an automatic ‘pride suppressant’. 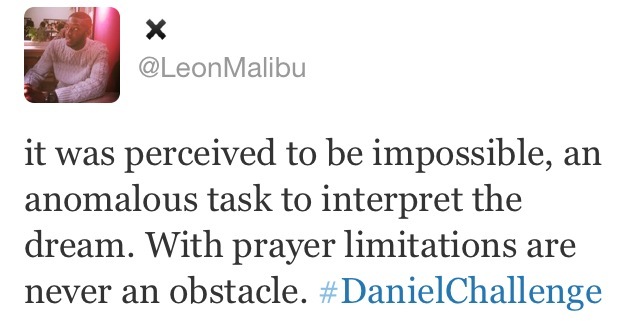 Also, Daniel PRAYED. He prayed.. On his knees.. Again.. Humility physically demonstrated here. HE ALREADY ACHIEVED VICTORY ON HIS KNEES long before the real battle ( facing king Nebu). This one hit me. In v.24. He said ‘do not destroy the wise men.. TAKE ME’! he put himself forward for what he knew could potentially kill him( if That was What God wanted) but he went ahead anyway. The boldness and courage that he showed here.. Especially for such a young man.. Is just… Something! And this leads me to my 3rd point. 3. God’s love is for all. 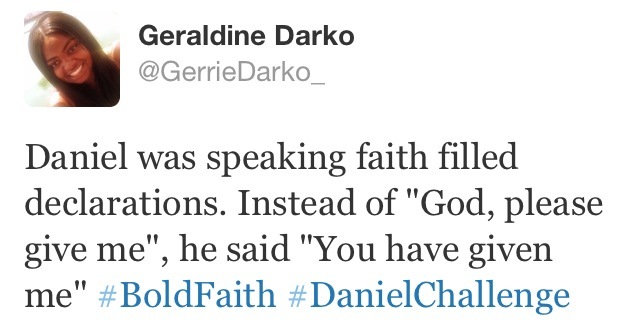 Daniel put himself forward for even unbelievers. The ‘wise’ men were clearly lost in witchcraft, juju and all sorts of babalawo antics.. All dimensions of darkness you could possibly imagine BUT In spite of this.. Gods love still spreads to them. The king seems very adamant when warning the astrologers that they Must produce an explanation for his dream. Character– he displays character by refusing to do wrong before the kings. Competence– Kings offer to pay him for his ability to interpret dreams. Convictions– he refuses to eat the king’s food. Courage– he faces the lion’s den without flinching. Charisma– he is so righteous that kings want him to take a proactive role in government. Commitment– he remains committed to God despite pressure to compromise. Compassion– He never looses his love for others, even in the culture of nepotism. Daniel illustrates why character plays a vital role in our existence on earth. Living in a foreign land, Daniel never compromises his discipline and personal commitment to God. He remains loyal to his creator and to his companions on earth. 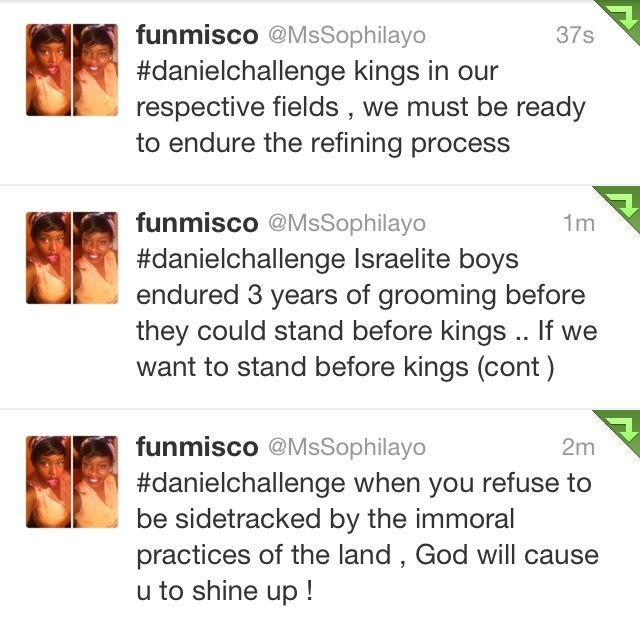 Lets take time to consider the character Daniel maintains during the infectious reign of King Nebuchadnezzer. 2. His Humility– He didn’t take glory for interpreting the dream, instead he glorifies God. Who takes the glory in your life-you or your creator? 3. His Honesty– He spoke truth to the King, regardless of its unpopularity. Do you hide your honesty for the right to become popular? 4. His Discipline– He doesn’t stop praying daily even if it might cost his life. Do you exchange your spiritual being for the sake of living a mortal life? 5. His Integrity– He declines the bribes and cash!- Do you compromise your integrity for worthless riches? 6. His convictions– He remains committed to his friends and customs even when he propels in ranks. How we deal with the circumstances of life depict the nature of our character. Crisis doesn’t necessarily make the character but certainly reveals it. Loyalty towards your humble, graceful and loving character will provide a pathway to great opportunities in your life. Therefore, Picture Daniel and observe how he maintained his character, even during the furnace of affliction. 1. I really admire the King’s sense. He didn’t want people to take him for granted. He just wanted someone to tell him the dream and obviously the interpretation. Being honest, the astrologers, wise men, etc admitted they couldn’t interpret it. It would have been disastrous if those people fooled the king..that would have been their end!! 2. 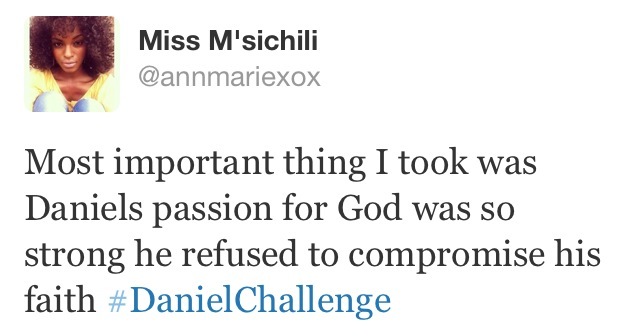 I also love the fact that Daniel knew he couldn’t have done it by himself. Many times in life, many people think when they do great things, they think it’s by their own power. NO. 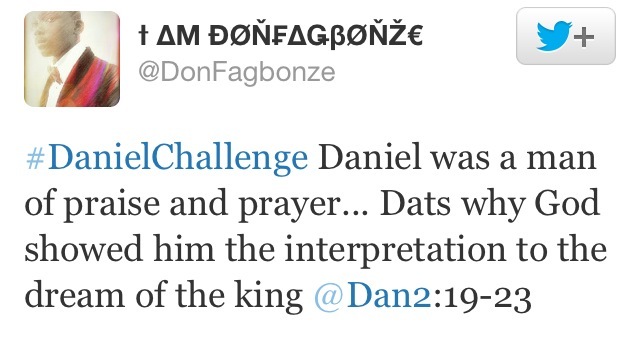 Daniel gave glory to God. Humility is key! 3. Throughout my life, I’ve found myself doing too much for my friends than they would do for me. It’s important to have friends who would be there for you, pray for you when times are hard, and rejoice when things are going well with you! That’s when you know you have a good friend. I’m really going to make sure I keep such friends by my side & not fool myself with false friendships. FAQ: How to create a journal?